We all know how Google uses a bunch of different signals when tailoring search results for your need. Search history, geographical location, linking patterns on the web, and so on. But more than that, Google now wants to know what TV channels you're watching, and use that information to tailor search results. Google recently patented this concept of using your TV-watching patterns to influence search results for you. Welcome, TV Rank. A patent is a "licence conferring a right or title for a set period, especially the sole right to exclude others from making, using, or selling an invention." 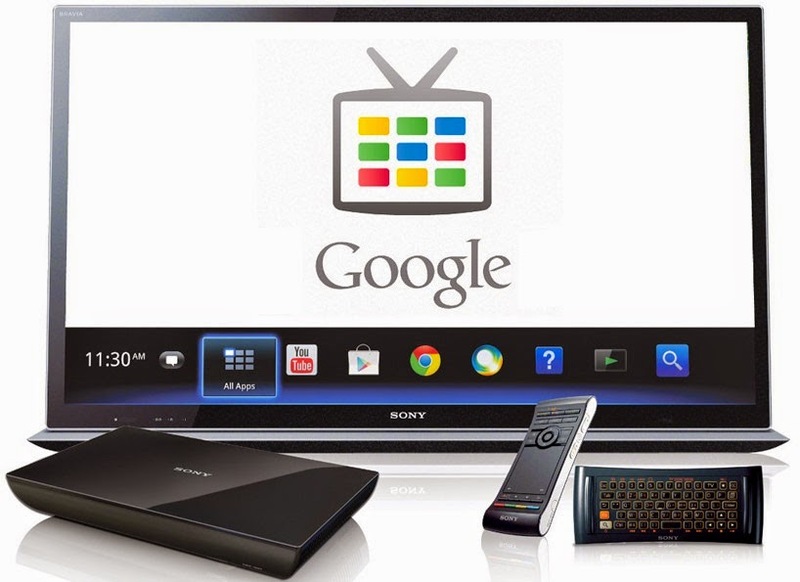 The specific patent granted to Google is named System and method for enhancing user search results by determining a television program currently being displayed in proximity to an electronic device. It was filed on June 30, 2011, and granted to Google on September 16, 2014. Talk about endless formalities! 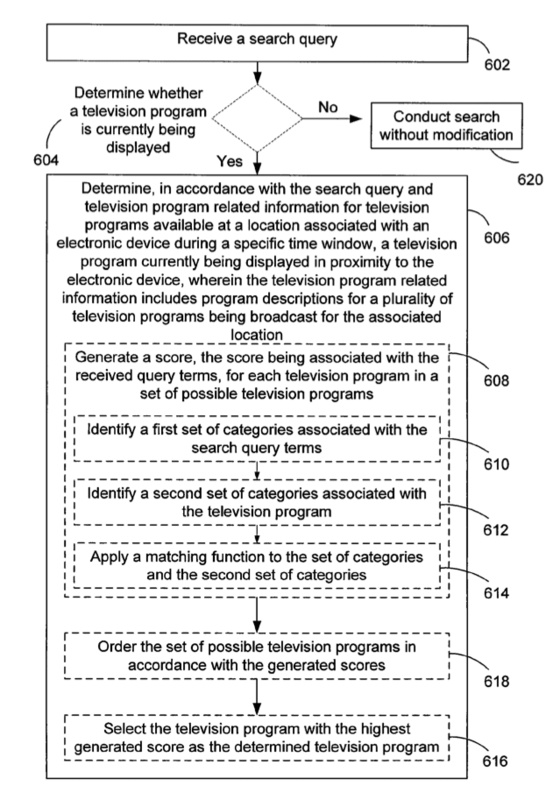 A computer implemented method for using search queries related to television programs. A server receives a user’s search query from an electronic device. The server then determines, in accordance with the search query and television program related information for television programs available at a location associated with the electronic device during a specific time window, a television program currently being displayed in proximity to the electronic device, wherein the television program related information includes program descriptions for a plurality of television programs being broadcast for the associated location. This means that using your TV programming, Google can influence your search results based on your preference. For example, if I am watching Top Gear episode about a Porsche 911 GT3, then a search for 'Porsche' or 'sports cars' can return information about the GT3 in particular, or about the Top Gear episode in question and/or generally about the show itself. It could also suggest similar programming that is currently airing or going to in the future. Just because Google holds this patent doesn't mean the system will actually be used. But then again, this is Google we're talking about, and when you're a tech giant, you could use any advantage to stay ahead of your competitors. It is also worth noticing that Google, to some extent, already uses this type of process as part of Google Now, which is Google's intelligent personal assistant that gives you information before you ask for it - and this includes TV Cards. The cards give you more information about the TV shows you’re watching, plus remind you about upcoming shows and shows you might like based on the programs you watch.